Season 18 of The Bachelor is almost to an end, Juan Pablo has narrowed his search for love down to his Final Four bachelorettes (Clare, Nikki, Andi, and Renee). Even though Juan Pablo hasn’t technically chosen a winner on the reality show yet, fans have known for months who he chooses in the Final Rose Ceremony, courtesy of Reality Steve. Reality Steve is an infamous blogger and Bachelor spy who has spoiled The Bachelor and Bachelorette series for many years. So far this season every single one of his predictions have been correct, so most likely he was correct when he pegged Nikki Ferrell as the winner. Nikki Ferrell may receive the Final Rose, but it doesn’t look like their relationship lasted long. Photographs surfaced of Juan Pablo on a date at a Miami Heat basketball game this week, and he wasn’t with Nikki Ferrell, he was actually accompanied by singer Mayra Veronica. Rumor has it Mayra and Juan Pablo were huddled very close at the game, and definitely looked like they were dating. We won’t know exactly what happened between Juan Pablo and Nikki Ferrell until the season finale of The Bachelor, but it is probably safe to assume they didn’t get their happy ending we have grown to expect form Bachelor couple. Maybe Juan Pablo made an epic Bachelor move, and at the end of the season he decided he didn’t want to be with any of the bachelorettes. 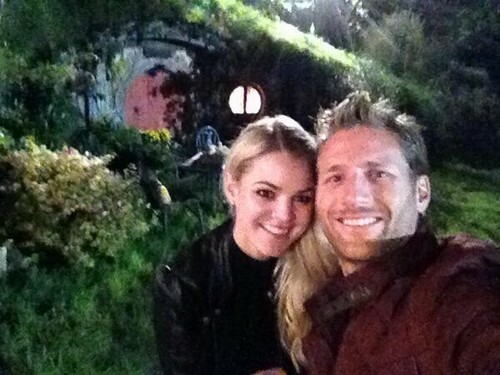 Or, maybe Juan Pablo did ask Nikki Ferrell to marry him, but he is cheating on her with Mayra Veronica? So, Bachelor fans, what do you think about Juan Pablo dating Mayra Veronica? Does this mean there isn’t another Bachelor wedding in store for us any time soon?